InfluxDB is an open source time series database developed by InfluxData that runs on 64-bit Windows, macOS or the Raspberry Pi Raspbian distribution. In this tutorial we will learn how to install InfluxDB on these three systems. InfluxDB is optimized for recording events or metrics. Originally developed to monitor server activity, it is very well suited for recording events or measurements from connected objects. InfluxDB is used in industry (IBM, ebay, Cisco, Citrix …) or research centers. For example, Geneva CERN uses InfluxDB to record the data generated during the LHC experiments. 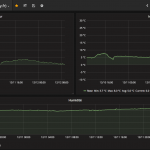 It’s an excellent solution combined with Node-RED to record the measurements of your connected objects and plot fantastic graphics with Grafana. It is also possible to install InfluxDB on most Linux distributions. InfluxDB is available for 64-bit Windows only. If you have a 32-bit version, you will have to install Docker (docker pull influxdb) or use a virtual machine. For Linux Debian or Ubuntu 16.x distributions, read this specific tutorial. Before you can install InfluxDB on Raspbian, you need to tell the system where the keys for the InfluxDB project repository are. Then run these commands which will add the apt-transport-https package, add the link to the source of InfluxDB, update the system and finally install InfluxDB. The Raspberry Pi uses an SD card to operate the system and store the data. It is imperative to purchase an SD card suitable for intensive data logging. These are mostly SD cards suitable for camcorders or digital cameras. Feel free to spend a few extra euros on a fast brand name card. Opt for a minimum SDXC II card. You will find more info in this article. It takes a little searching on the site of InfluxData, but there is a version for Windows. She is available for Windows 64-bit. With no Windows 64 bit at my disposal, I have not tested on this environment. InfluxDB installs on macOS using Brew . BREW is a package manager for Mac (project official page). 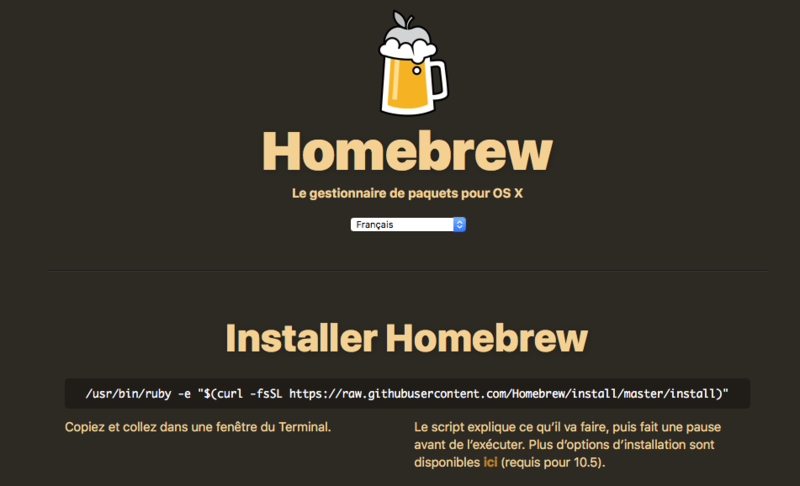 Answer the questions to complete the installation of Brew on your Mac. Like all non-relational database, InfluxDB for its own vocabulary you need to know before starting. There are 6 (CREATE database management methods DATABASE, DROP DATABASE, DROP SETS, DELETE, DROP MEASUREMENT, DROP SHARD). Here’s how work the first 2, for others, everything can be found here. We just the name of the base (database_name) to remove. InfluxDB incorporates a system of automatic deletion of data. It is the policy of Retention (Retention Policy). Spent some time, data is automatically deleted from the base. This mechanism is very convenient because it for a good grasp of the size of the base and we don’t have to worry about this maintenance operation. Free to each set the lifetime of any particular measure. If you want to follow the temperature of its microprocessor, one less may be sufficient, instead the retention policy must be more flexible if we want to compare the temperature in a House from one year to the other. It will also think about the system upstream, you don’t have to store a measurement of atmosphere temperature every 10 seconds! A measure per minute, 15 minutes, that’s enough. Instead in an industrial process, we certainly want to go for the second… or a lot less. duration: duration of data retention. It’s a literal expression which must respect the convention InfluxDB ( here ). For example if you want to keep the data for 30 days, it will show 30 d. If you want to keep without limitation of time, it indicates INF (infinity). duration_shard : the duration of storage of the data in the buffer zone. Here for more info. This policy keeps the records during a day (one_day_only) based NOAA_water_database. The data are stored in space shard 1 day. Replication 1 indicates that a copy of each item is copied in the cluster (it takes only it cluster exists). This method allows to change an existing retention policy. the method returns an empty result. Now we know some methods , we will provide to run some tests. Just like MongoDB, InfluxDB for its own command shell that allows to perform all operations on databases. To start it, nothing complicated, just enter Influx in the Terminal. The exit command allows to get out of the shell. Note. All the operations described in this paragraph can also be accomplished using commands curl . And now we give him all rights based basetest . It is finished for this first presentation on InfluxDB. There is still much to discover, but it’s more than enough to take charge and start working with. In the next tutorial, we’ll see how to save steps of a DHT22 probe built around MySensors by using Node-RED firmware. [June 11, 2018] How to install InfluxDB on Raspbian Stretch for Raspberry Pi.